A4 Double Sided Adhesive Foam Sheets (2pcs) - two A4 sheets of double sided adhesive foam in two thicknesses - 1mm and 2mm. 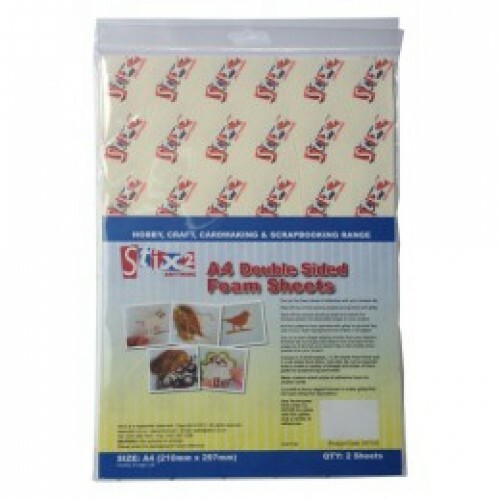 Easy to use and apply from the sheet, these double sided adhesive white foam sheets are the perfect craft and hobby dimensional adhesive. 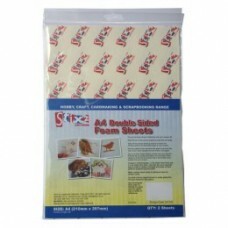 They can be cut to size required with scissors or with a punch or a die cutting machine. They have an instant permanent bond and can also be used to decorate with glitter, foils and embellishments. Ideal for greeting cards, scrapbooking and decoupage.